Burning Blood is the fighting game fans of the One Piece universe have been clamoring for. Pirates from all over the Grand Line are lining up to fight in Burning Blood. There is a vast roster of fighters and all of your favorite characters are here in either main fighter form or support character form. This is a typical fighting game where you select your favorite pirates and then use the support characters to help out when the going gets tough. Characters have “story mode” and you start out by playing the Luffy story. By completing the Luffy story, you can unlock the rest of the gameplay modes, and there are quite a few of them. While playing the story, you can accomplish requirements to unlock extra story chapters to unlock new pirates. One of the major issues I had with the game was if you had to replay a certain chapter/mission and there was gameplay training in the mission, you had to play the whole training mission over. It would have been so much easier to have a way to start the chapter after the training, maybe after you completed the training in your first play through. It just makes replaying the chapters tedious and a hassle. The Paramount War story mode, or the main gameplay mode, tells the tale of the Marineford story arc. Luffy sets out to locate and rescue his pirate brother, Ace. All the dialogue is in Japanese, which is common for Bandai Namco games of this ilk. I feel like I’m in the minority when it comes to this sort of thing but I would like an option to have English dialogue too. To each his own I suppose! 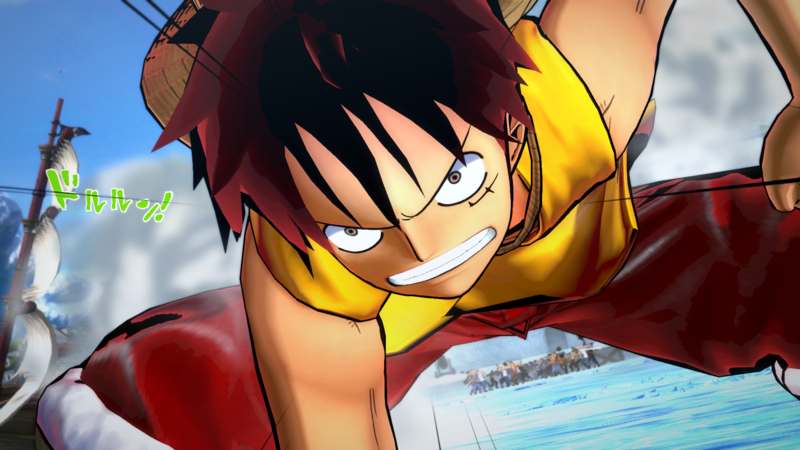 Defeat the Luffy story episode and you can unlock the different gameplay modes. Like I mentioned before, the Paramount War mode is the main gameplay mode and the story. Complete missions to get your hands on the best pirate crew and support crewmates. Wanted VS mode has you taking on challenges in the form of wanted posters. The challenges will range from simple and easy to very hard. You can connect to the Internet to update which wanted posters you have to choose from, since the challenges don’t last forever! You’ll compete for monetary rewards as well as other rewards. Online mode is exactly what it sounds like where you can compete against some of the toughest opponents the Grand Line has to offer, real people! Training mode is where you can work on your fighting style and learn the perfect attacks. Free Battle is where you can play the game how you want and set the rules for each fight. Classic fighting game rules of three on three battles. There is plenty of fan service when it comes to the roster of pirates to choose from. There are multiple versions of certain pirates, like Monkey D. Luffy for example. Counting the support characters, your favorite One Piece pirate has to have made the cut! An issue I have with One Piece: Burning Blood is the control scheme. At times, I felt that the controls weren’t as responsive as they should be. Fighting games need the controls to respond quickly and at times the controls didn’t do that. There were also times where I used an attack combo and then tried it again and something totally different would happen. It happened more often in the training/tutorial missions but it was happening all the same. In this stage of the game things like that shouldn’t get by quality control. The game has the same look and feel to the Naruto: Shippuden game franchise and the term “Button-Masher” comes to mind when I think of those games. Button Masher also comes to mind when talking about One Piece: Burning Blood. You can win a match by spamming special attacks and using the same attacks again and again. It takes strategy out of the equation when you can win a fight by using that one powerful move, over and over. To recap, One Piece: Burning Blood gives the fans what they want, a One Piece fighting game. The roster is a who’s who of famous pirates from all over the Grand Line. 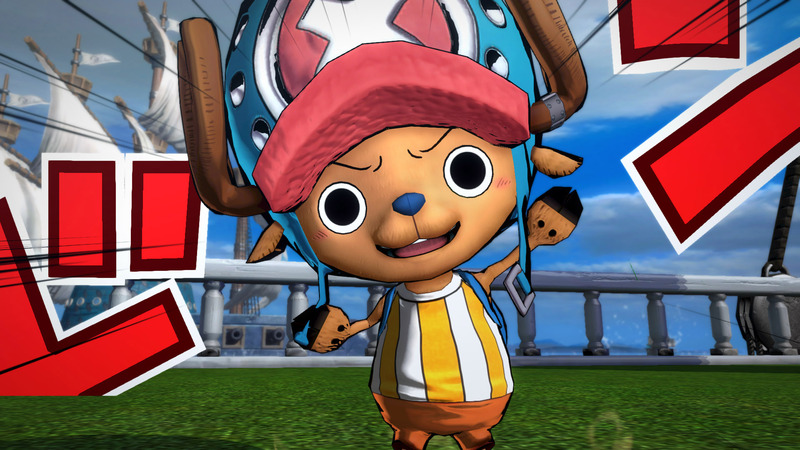 There are quite a few gameplay modes to keep One Piece fans entertained for hours. However, with at-times faulty controls and “button mashing/attack spamming,” the game doesn’t hit on all cylinders. It’s these reasons that I’m giving One Piece: Burning Blood for the PlayStation 4 an 8/10. Fans of the series will want to give it a look and use the power of the Gum Gum fruit!